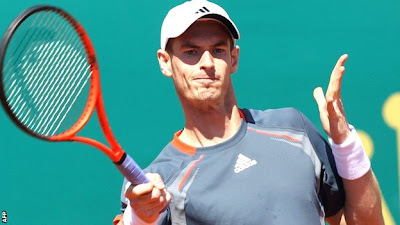 Andy Murray marked his first clay-court outing this season with an emphatic victory over Viktor Troicki to reach round three of the Monte Carlo Masters. The Scot mixed aggressive attacking play with dogged defence to dominate his Serbian opponent throughout, winning 6-0 6-3 in 67 minutes. British number one Murray, who received a first-round bye, will next play Julien Benneteau or Jurgen Melzer. He is also in doubles action with brother Jamie later on Tuesday. Murray could not have wished for a better start to the clay season, improving his career record against Troicki to 5-0 with minimal fuss.